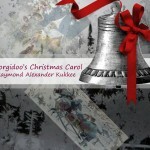 Morgidoo’s Christmas Carol: by Raymond Alexander Kukkee. “A hundred years ago”, thus begins a journey where sound travels upon snowscapes toward the center of humanity. To follow the story of this silver bell is to dwell in the lost-and-found of goodness. The classic language holds the voice of childhood through Morgidoo’s words. It is also to trust wisdom in the enduring love of Mr and Mrs George Blister. The text depicts each exquisitely detailed scene as the plot evolves along magical suspense. Original artworks illustrate each step along the pages of this tasteful volume. Young or adult can pause for a sustaining reading or thoughtful perusing of this contemporary classic; indeed a classy little present in a season of casual excess. This book is a mainstay of the return to the essential purpose of literature through the author’s vision. Morgidoo’s mindful pursuit aims to enlighten living, to entertain with art, and most of all to strengthen the core; in this celebration of sound and spirit: a bell and a boy. 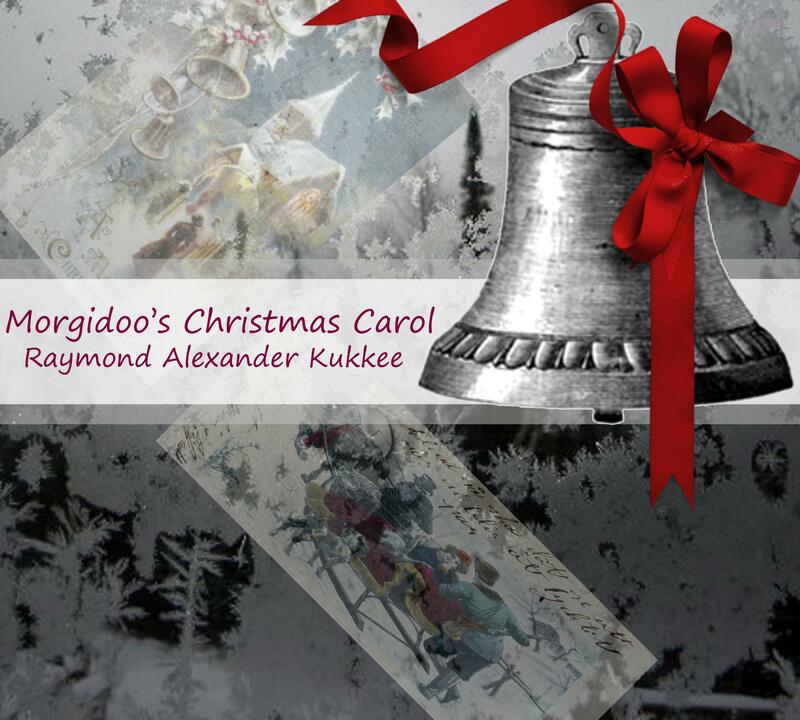 Morgidoo's Christmas Carol is available in eBook and print at Rocking Horse Publishing, and also online at Amazon, B&N, and at fine bookstores everywhere. Don't you just love reading book reviews? I do! Is that Incoming I hear? © by Raymond Alexander Kukkee GREAT NEWS --another MILESTONE! Morgidoo is in PRINT! Here at IncomingBytes I'm always excited when presented with the opportunity to write about something good, something new, or announce wonderful milestones and achievements of all sorts. Well, ....this is a special one for which I've been waiting! I've been holding my breath. Wow! Bells are ringing. I wonder why? How much more exciting could life be? ANY book launch is exciting for both the author and publisher, but it's even more exciting when it's MY own book! Thank you, Robin Tidwell at Rocking Horse Publishing-- for having such faith in Morgidoo and his unique story. See what happens? Our new cover is already approved and Morgidoo's on the move! 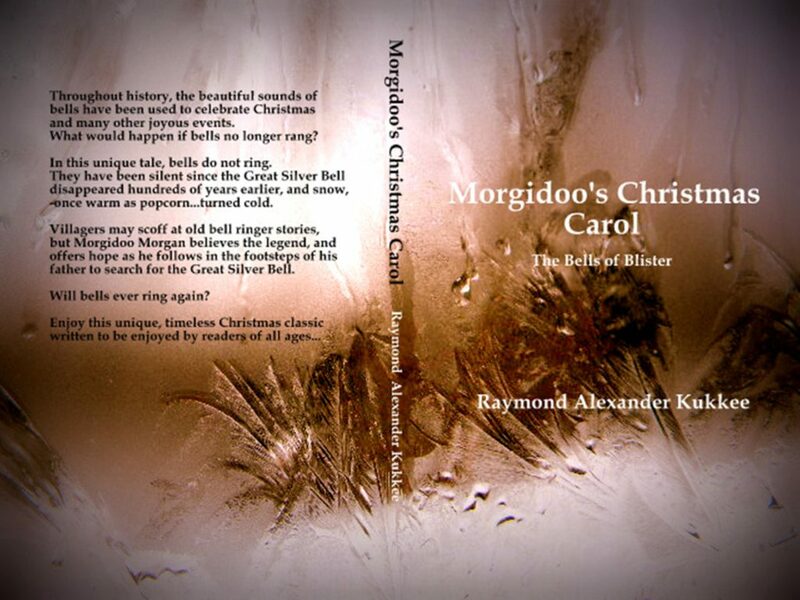 We are MORE than delighted to tell you that Morgidoo's Christmas Carol will be available at fine bookstores everywhere AND online for your convenience--just in time for Christmas. 11052 Olive Blvd., Creve Coeur, Missouri 63141 U.S.A.